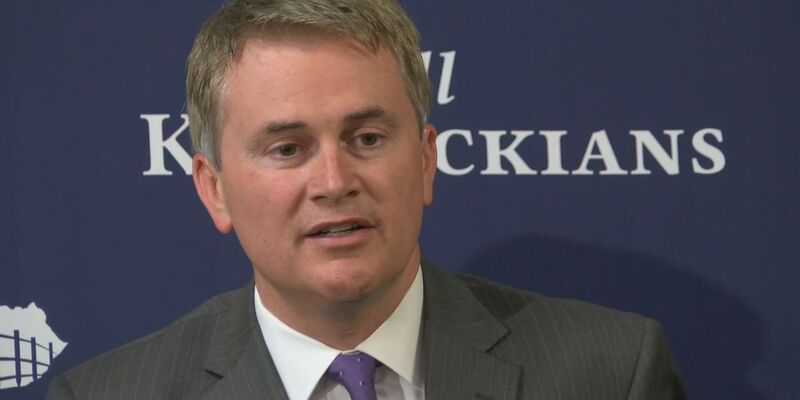 (KFVS) - U.S. Representative James Comer says he will not run for Kentucky Governor against Incumbent Matt Bevin. On Sunday, Jan. 27 Comer released a statement, says he has been silent for the past three day due to his father suffering a massive stroke and has spent the last three nights in the hospital. Rep. Comer will remain in office representing the 1st confessional district of Kentucky and will not running against fellow Republican and Incumbent Governor Matt Bevin. He did however in the statement say, “Kentuckians deserve better than a Governor who belittles anyone who disagrees with him. who doesn’t set foot in many of our desperate communities ‚who has zero accessibility to most of Kentucky’s elected officials and who has spent more time traveling outside Kentucky than getting experience the uniqueness and greatness of Kentucky and it’s people."